Being namesakes of their halogen and incandescent counterparts, PAR 30 and BR (or R) 30 LEDs are the green solution to outdoor and indoor lighting. Though they bear some similarities, understanding their differences will help you make better decisions about which one of these bulbs works best for your needs. BR (for bulged reflector) bulbs are lamps with “wide flood” beam angles, which means that they provide more than a 45 degree angle when lighting an area. 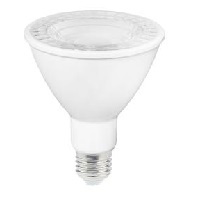 Though PAR 30 bulbs offer more options for lighting, both PAR and BR LED lamps are made to easily replace the energy-stealing halogen and incandescent lights. Because of this, both bulbs have the same medium (E26) base for North American sockets. The numbers after PAR and BR, like 30, stand for 1/8th of an inch. To find the diameter of the lamp, just divide the number after it by 8: e.g., the diameter of a BR 30 bulb is 30/8ths of an inch, or 3.75 inches in diameter. 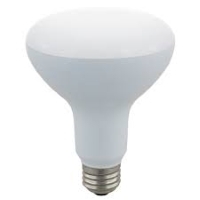 BR30 light bulbs deliver soft-edged, directional light and can typically be found in general household light fixtures, recessed can lighting, and/or track lighting. Their lighting is less precise and produces less shadow than PAR bulbs, but they are great for fixtures that use dimmer switches. PAR lamps deliver strong, narrow to wide, directional light. They are traditionally used outdoors as aircraft landing lights, security lighting, or indoors for concerts, movie production, and theater. Some LED PAR 30 bulbs offer nearly 90% in savings in comparison to halogen bulbs. They emit low heat, and can last for up to 70,000 hours. 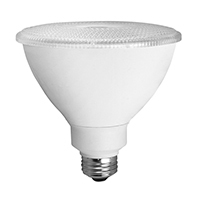 BR-shaped LED lamps are much cheaper than PAR LED lamps, but they have a lower average lifetime of 25,000 hours. Up to 25% of your energy bill is being burned with traditional light bulbs, and though the specifics may differ, switching to energy efficient lighting throughout the home can save you tons off your energy bill. Further, with longer bulb life than their halogen and incandescent friends, both the PAR and BR LED light bulbs last longer and therefore require less changing. These differences and similarities are also applied to other Par/R combinations as well, such as the Par20 and R20 LED bulbs. When searching for the perfect PAR or BR light bulb for your fixture, be sure to keep in mind the different angles, lighting, cost, and average bulb lifetime.